Objectives: An increasing population faces the growing demand for agricultural products. Accurate global climate models that account for individual plant morphologies are needed to predict favorable human habitat. At the heart of addressing the problems of climate change and food security is the challenge of modeling plant morphology under field conditions, which requires the integration of plant biology and mathematics. An improved understanding of the mechanistic origins of plant development requires geometric and topological descriptors to characterize the phenotype of plants and its link to genotypes. However, the current plant phenotyping framework relies on simple length and diameter measurements, which fail to capture the exquisite architecture of plants. This workshop set new frontiers in combining plant phenotyping with recent results from shape theory at the interface of geometry and topology. The workshop explored the potential of new mathematical concepts to analyze and quantify the relationship between morphological plant features. Plant biologists and theorists participated in presentations and group discussions focused on developing plant science questions that can be innovatively answered. Participants explored novel techniques, including persistent homology, graph-theory, and shape statistics to tackle questions in crop breeding, developmental biology, and vegetation modeling. The limitations of technological systems to capture plant morphology above and below ground were discussed in order to focus on the application of existing concepts and the need to identify new mathematical directions. 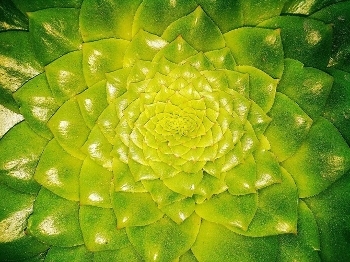 The workshop's mathematical/computational focus was to identify current cutting edge mathematical and computational techniques to analyze, model, and describe plants from the cell to the organ level and identify mathematical challenges in plant science applications. The biological focus was on how biologists can develop datasets and provide perspectives to establish simple model systems that employ favorable mathematical and technological constraints to discover special cases for later generalization. The scientific goal was to develop a suite of biological questions that allow workshop members to jointly pioneer the use and development of geometric and topological methods within the plant sciences. The synergy provided from uniting these disparate disciplines will potentially fuel future collaborations and hasten new studies and perspectives in plant phenotyping. Live Stream. Presentations were available for viewing via live streaming during the workshop. .